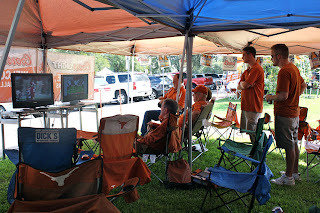 See-Dub: September 11, 2010: Wyoming tailgate and game. 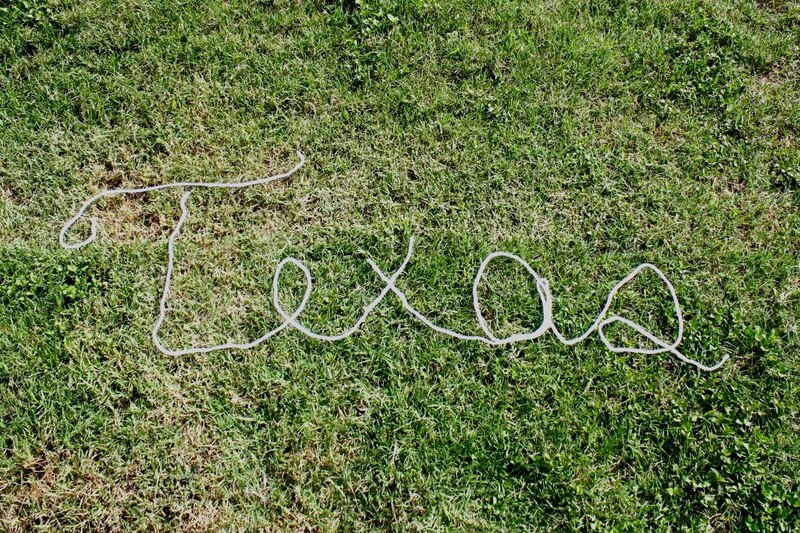 Texas, Texas, yee-haw! 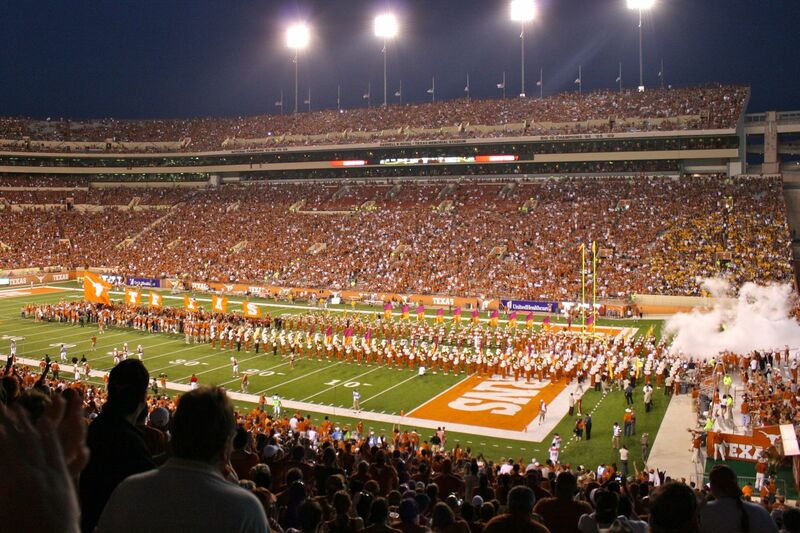 On Sept. 11, our long off-season wait was over. 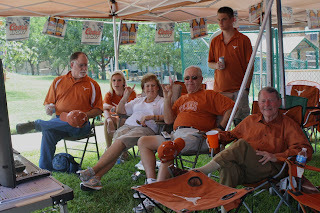 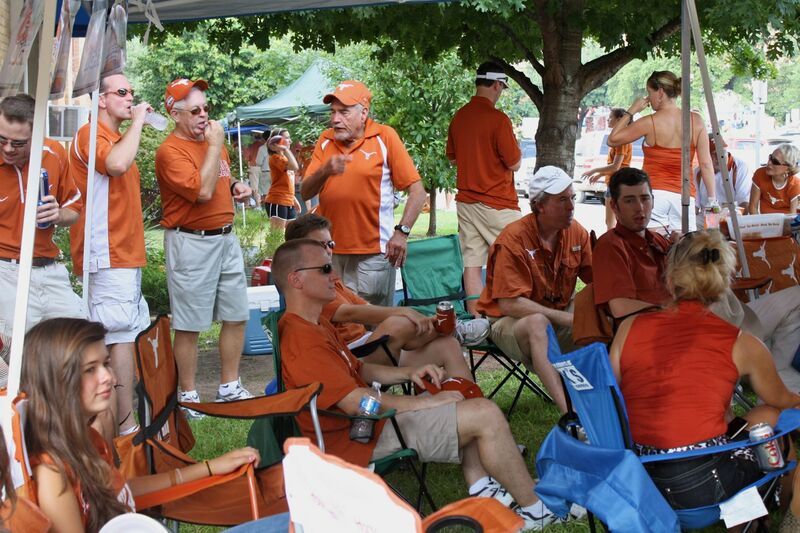 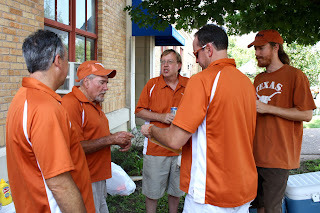 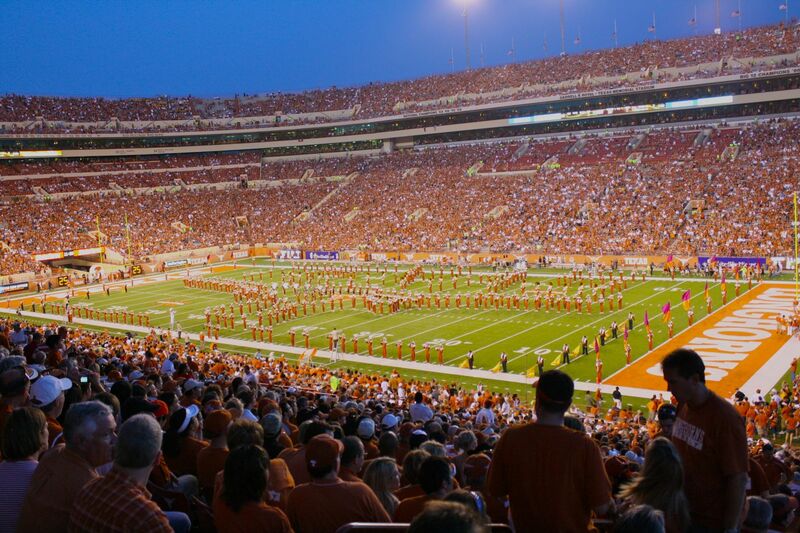 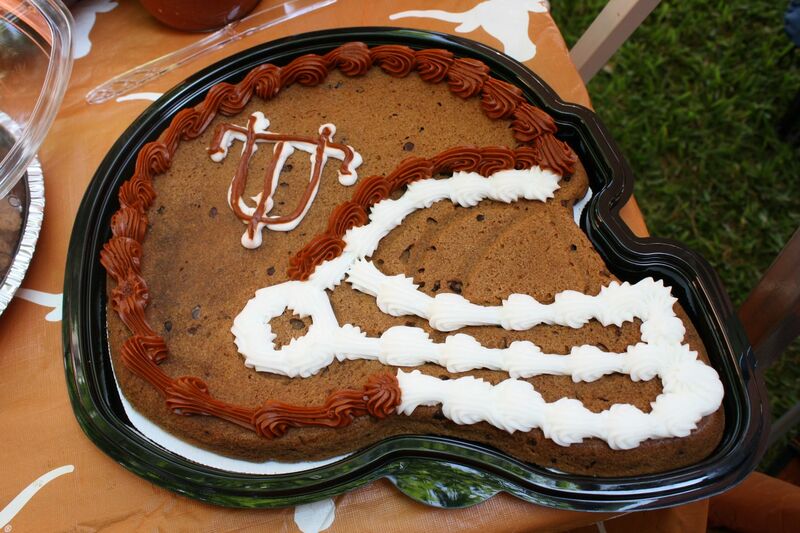 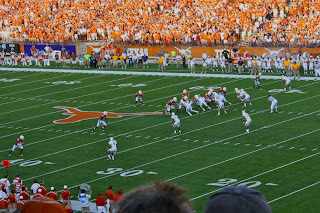 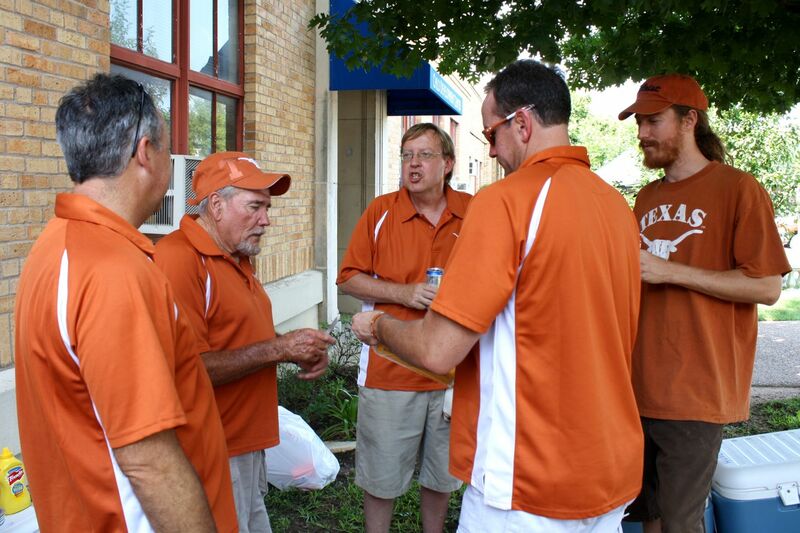 We were back on the UT campus for the first home game of the season. 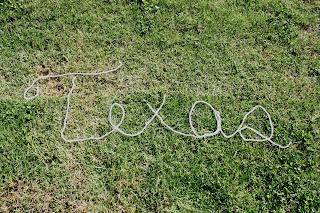 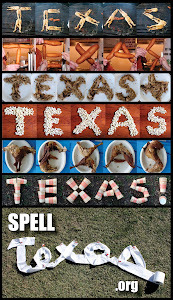 To wish our Longhorns luck roping the Wyoming Cowboys, we spelled Texas for this game using "rope" (Some might call it string, but whatev.). It was so nice to reunite with our Section 1 friends. Dede and I stopped at HEB and picked up a football helmet cookie, but my, my, my is that an awful rendition of burnt orange! 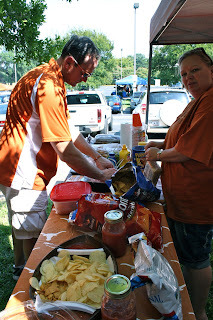 As we typically do for these hot, early season games, we had cold cuts and sandwiches for lunch. 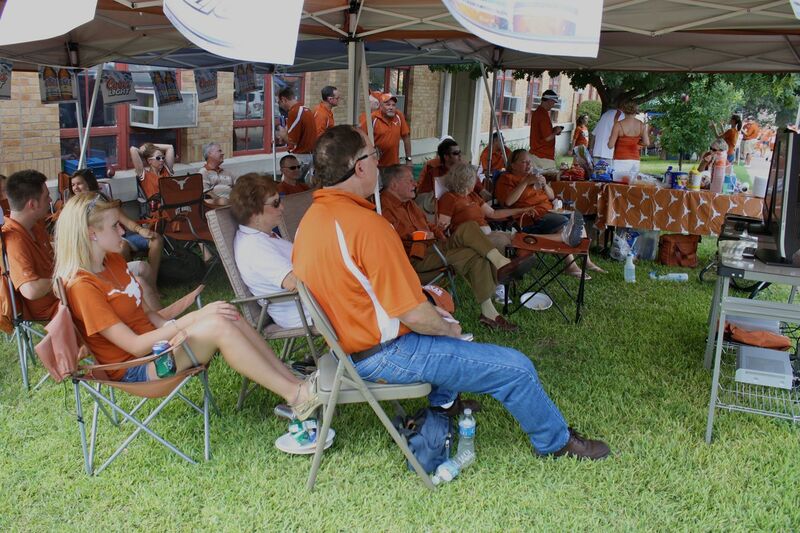 We had a decent-sized crowd there for that first tailgate. 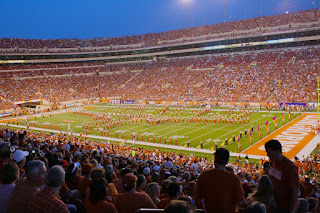 Light the Tower! 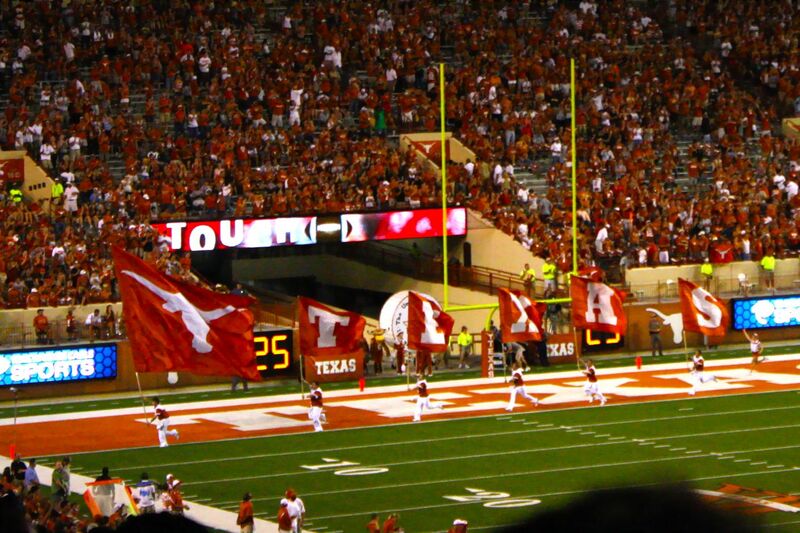 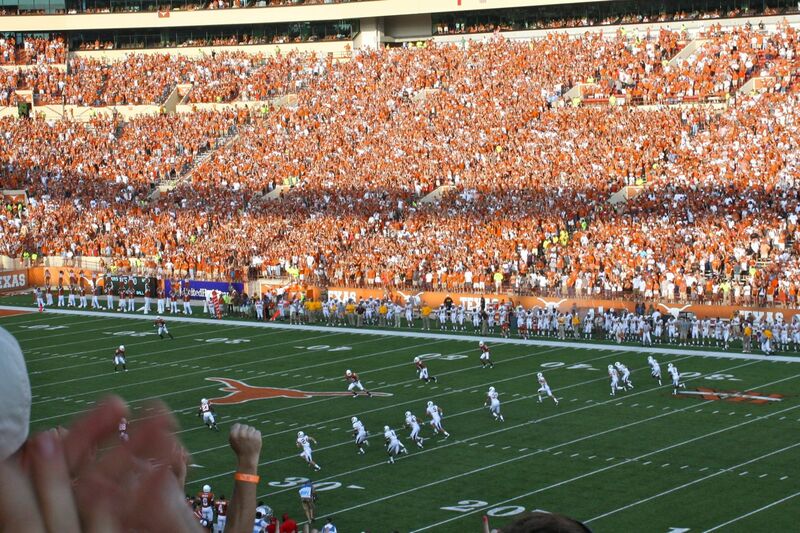 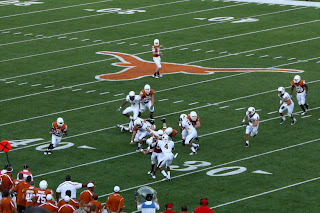 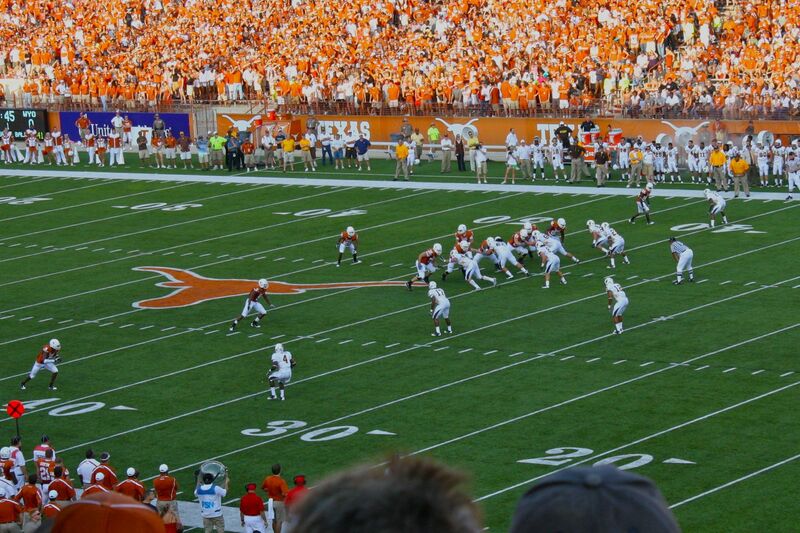 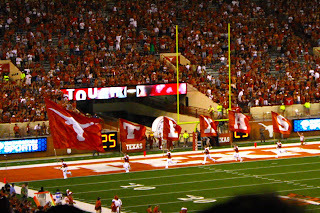 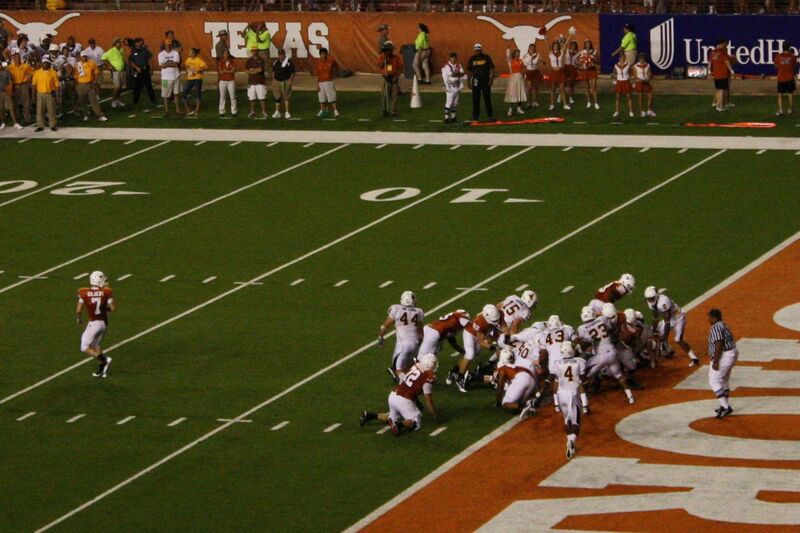 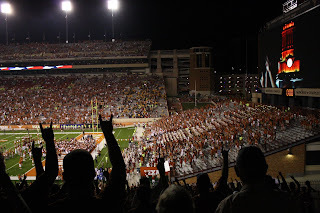 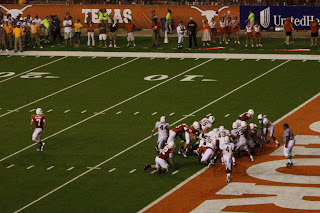 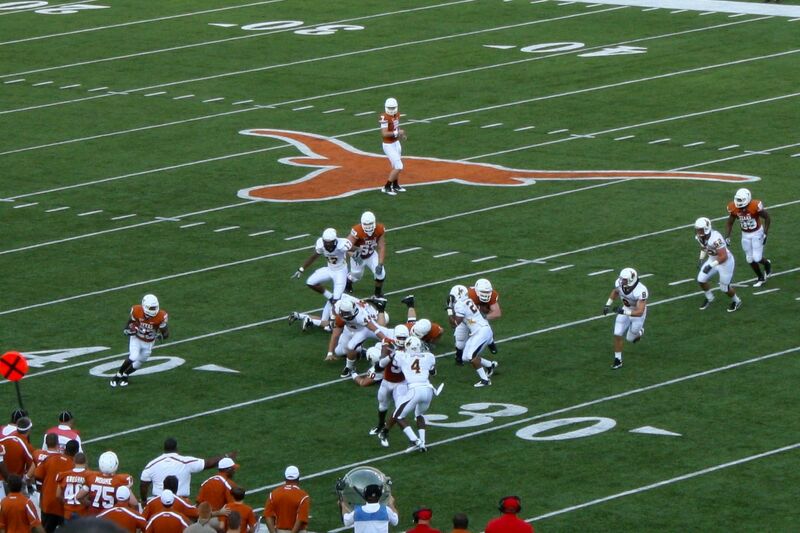 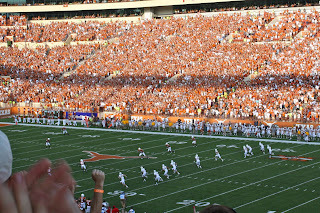 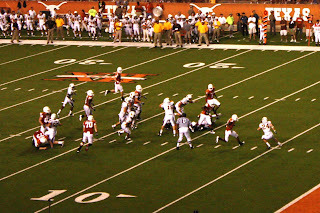 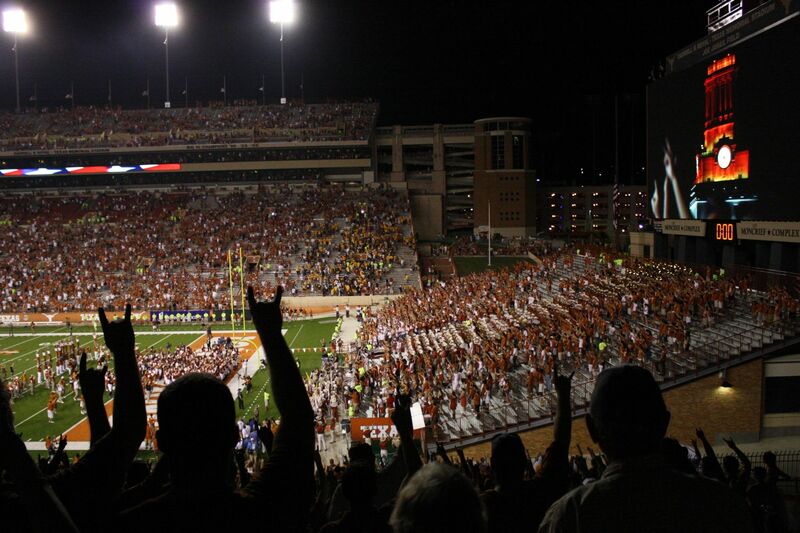 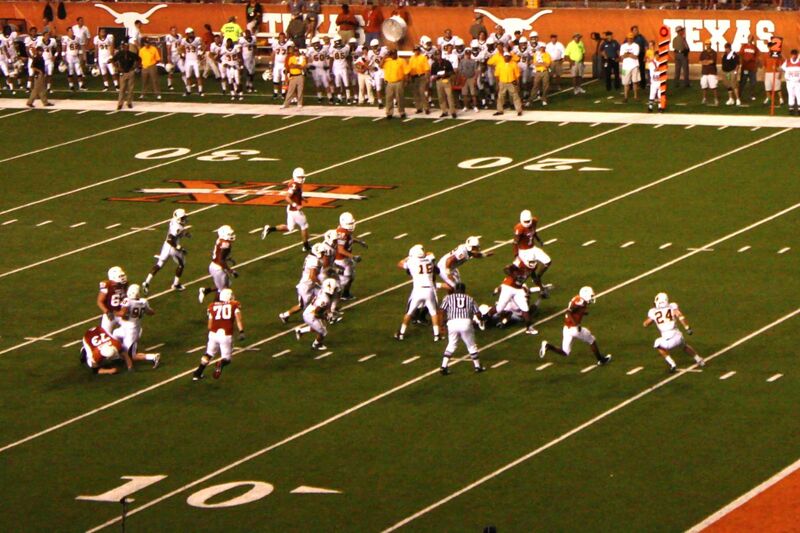 Texas won, 34-7.